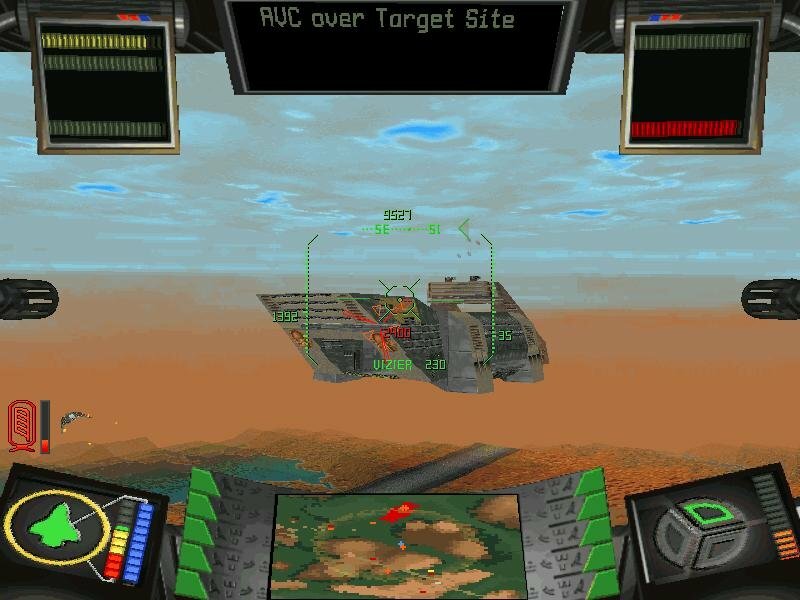 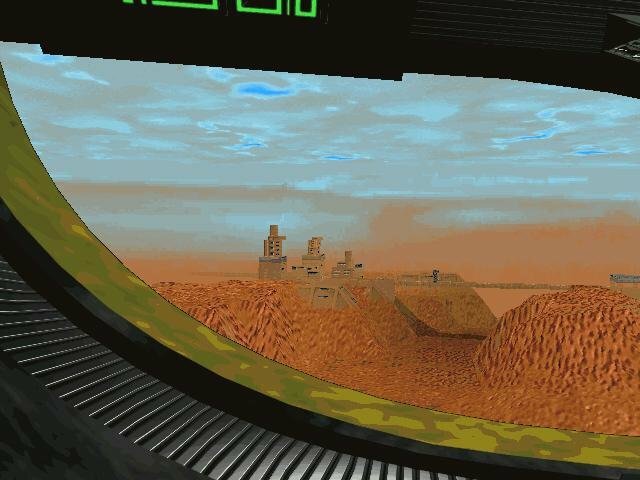 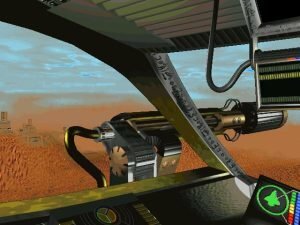 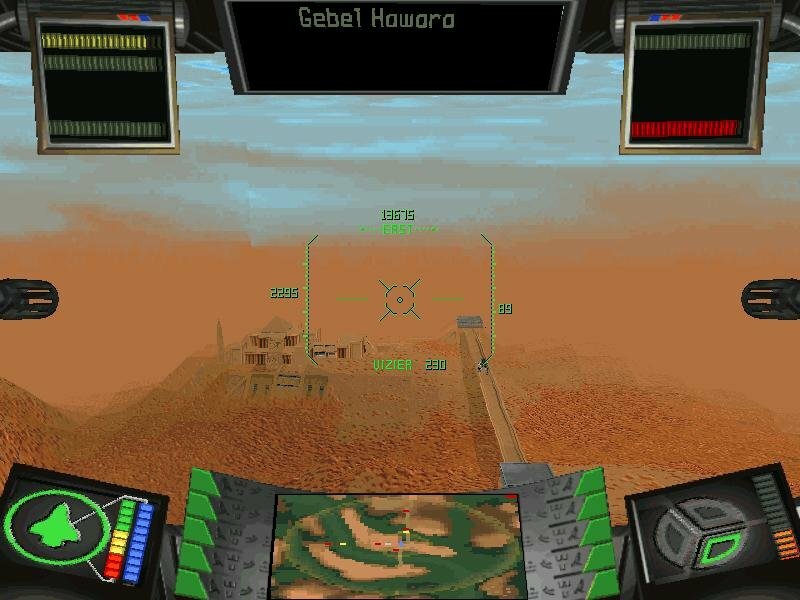 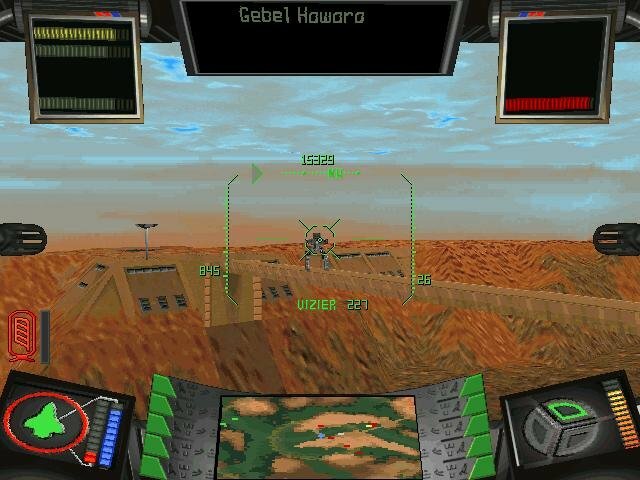 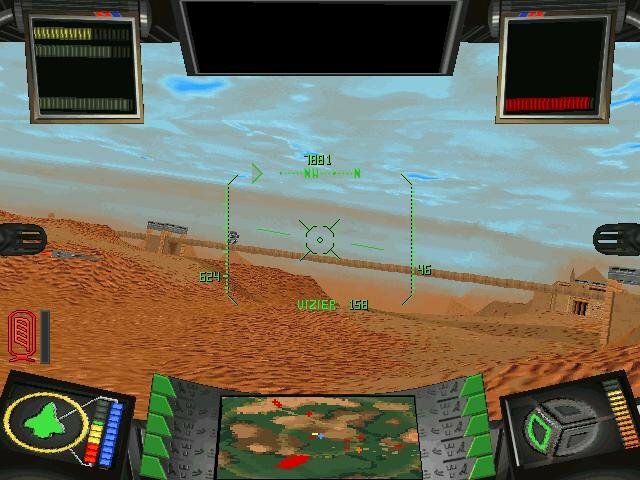 Sandwarriors tries to be something of a Wing Commander in the Egyptian desert of the future, but isn’t likely to grab anyone in the way that Origin’s space combat games do. 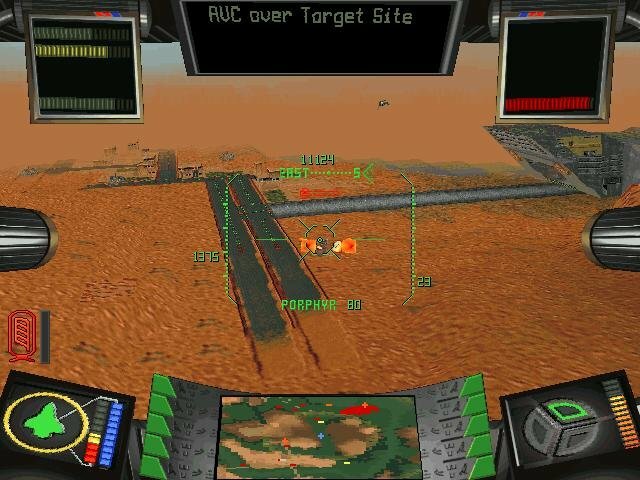 And while it’s not a bad title for what it is, this UK import looks and feels utterly outdated when compared to other current action-based flight sims. 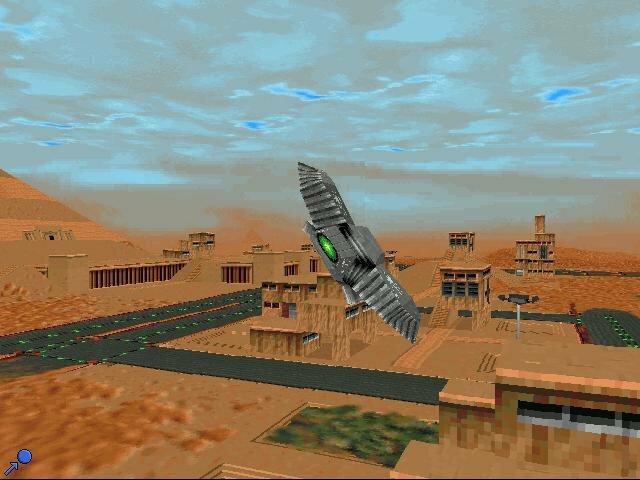 The game centers around two warring factions, each worshiping a different Egyptian deity, that spend their days fighting each other for power. 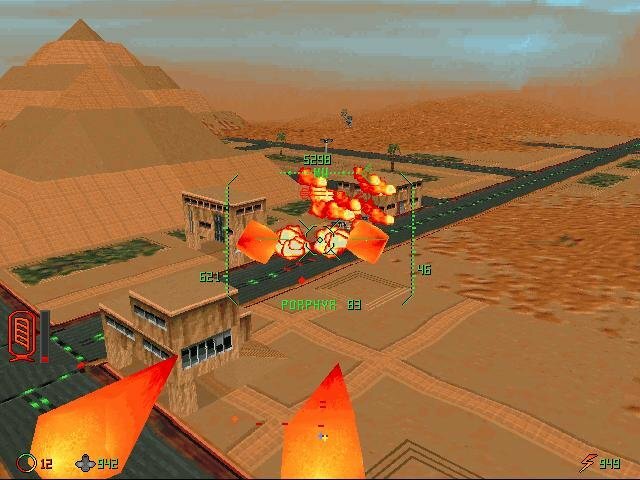 Aside from funny hats, desert locales and stylized Egyptian flight suits, the game doesn’t really do much with its premise. 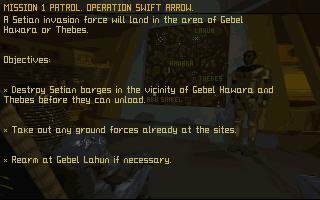 Your mission commander seems more like he’s from Arkansas than the Nile Basin, and the character you play sounds more like a kid from L.A than a warrior of this new Egypt. The 24 missions included with the game are extremely difficult, as combat with multiple air and ground forces is the norm. 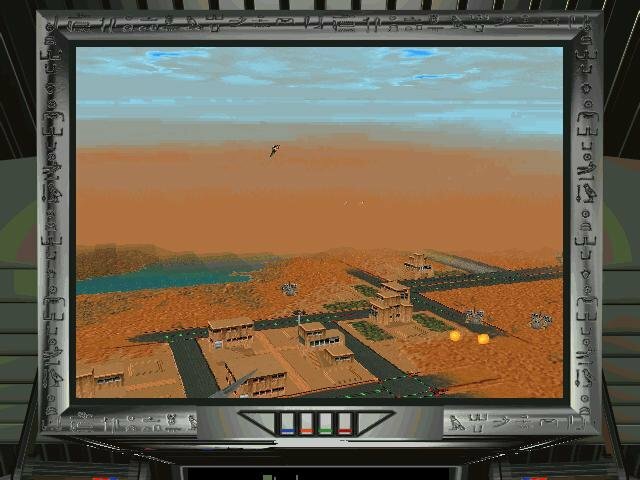 While the game doesn’t use 3D acceleration, it’s still quite good looking, with well-implemented rolling terrain. 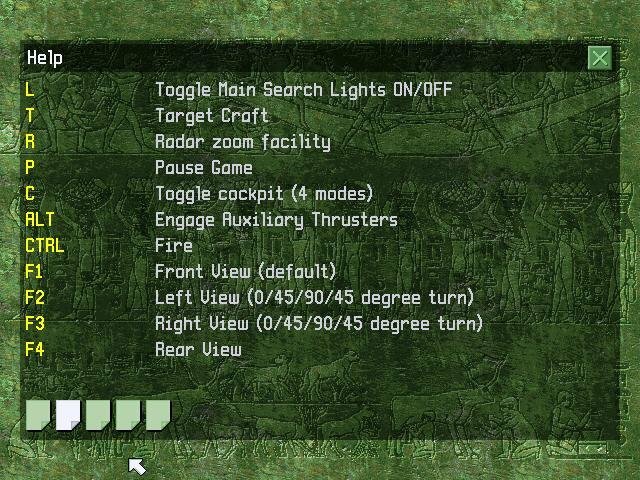 One odd feature is hotkeys for specific aerial maneuvers, which are usually used when you need a special sort of evasion. 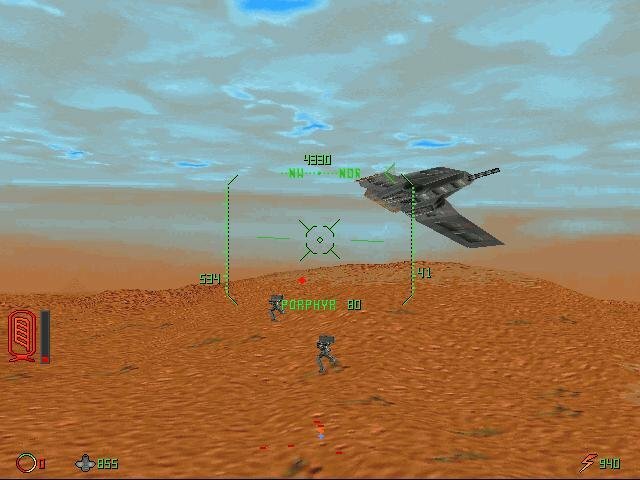 There are also various low-resolution cinematic sequences throughout, and voice communications during the mission. 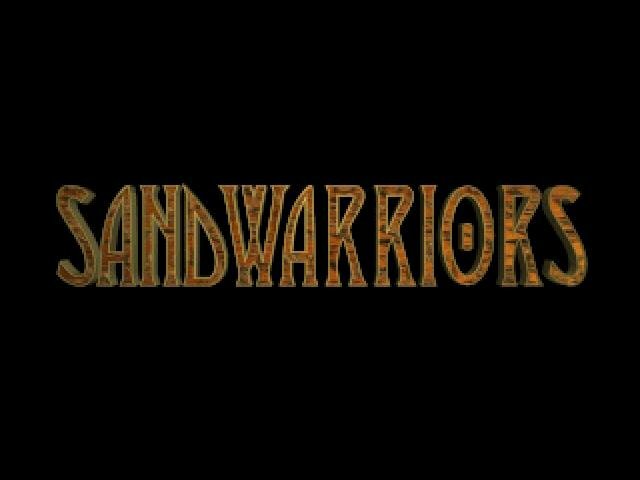 Sandwarriors isn’t a particularly heinous game by any means – it’s just lacking any outstanding or even interesting qualities to make it stand out on the software shelves. 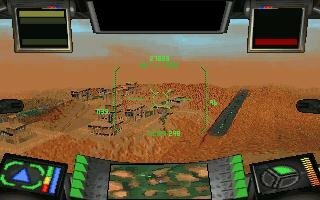 Had it been released earlier it might have been state of the art. 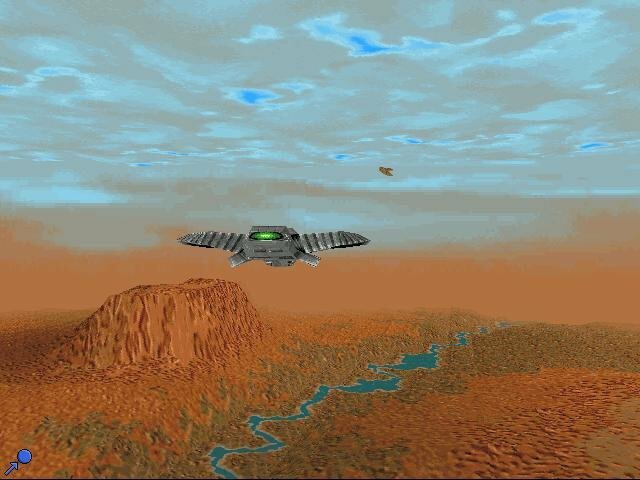 Download link is for a different game.